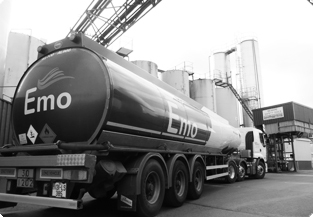 Emo Oil is one of the leading supplies of Marked Gas Oil. We understand there can be great confusion over the various types and terms of Gas Oil, therefore we have listed some clarifications of the different Gas Oil terms below. Gas Oil is often referred to as Marked Gas Oil, Green Diesel, 35 second Oil or Home Heating Oil. Gas Oil is “marked” with green dye, hence the common name Green Diesel. 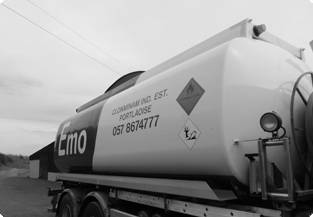 The dye is applied for customs markings to distinguish it from Road Diesel (DERV) and it is illegal to use Marked Gas Oil to fuel an on road vehicle. Gas Oil is a clean, cost efficient and safe home heating oil. Gas Oil can be used in heating systems with an external burner and in shipping (for further details on marine please click here). Sulphur Free Marked Gas Oil is better for the environment due to the low sulphur content. Construction equipment including mobile cranes, forklifts, excavators, cherry pickers, portable generators, quarrying equipment and diggers. For an express Mark Gas Oil quotation, please select your product type, quantity and location from our Express Quotation Engine or alternatively contact a member of our team by clicking on the team member icon on the right-hand side.